Sitrex H90 Carted Rakes » Darrell Harp Enterprises, Inc. Simple to use and provides excellent results. The various adjustments allow correct wheel pressure on terrain. 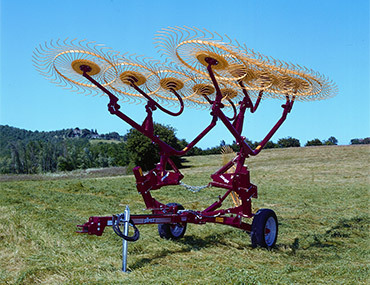 The oscillation of the rakes main arms and of the wheel-holder small arms permit correct ground contact, even on undulating grounds. 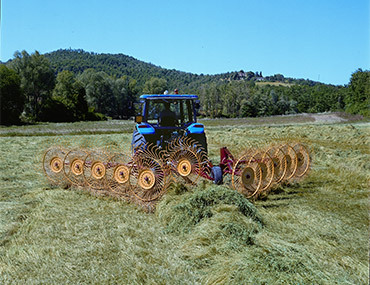 The hydraulic lift system controls the rakes lift from the tractor's cabin without any other adjustment. This permits good working performances both on quality and time required.